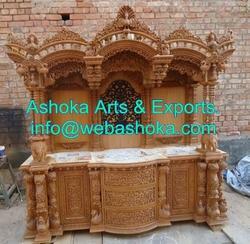 Offering you a complete choice of products which include wooden mandir / ghar mandir, carved teakwood temple / mandir, wooden carved temple, wooden carved ghar mandir and wooden mandir. 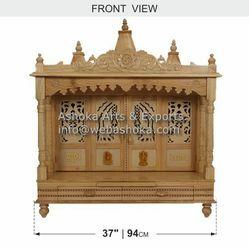 We are offering a superior quality designer Wooden Carved Teakwood Temple / Mandir, wooden Temple, Wooden Carved Teakwood Temple / Mandir to our most valued clients. 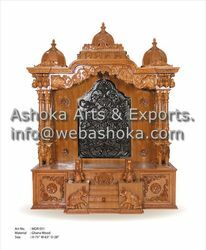 These Wooden Carved Teakwood Temple / Mandir, wooden Temple, Wooden Carved Teakwood Temple / Mandir are made by using superior quality raw material which ensure its quality and durability. 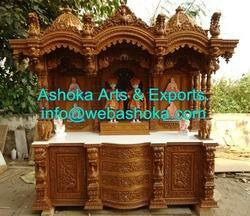 Wooden Carved Teakwood Temple / Mandir, wooden Temple, Wooden Carved Teakwood Temple / Mandir are customised as per requirements.These designerWooden Carved Teakwood Temple / Mandir, wooden Temple, Wooden Carved Teakwood Temple / Mandir are available in various types and we offer at wholesale rates. 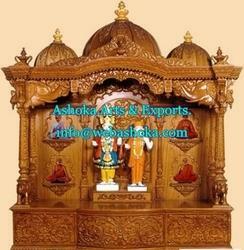 Looking for Wooden Temples ?